Our family is always looking for high-quality children's toys for a great price! 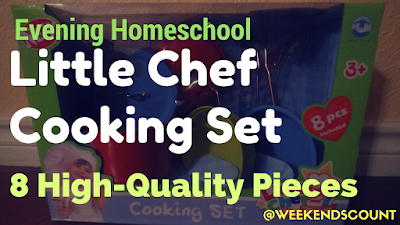 The Little Chef eight-piece metal children's cooking set is one of the best toys (for a great price) for your 3-5 year old! 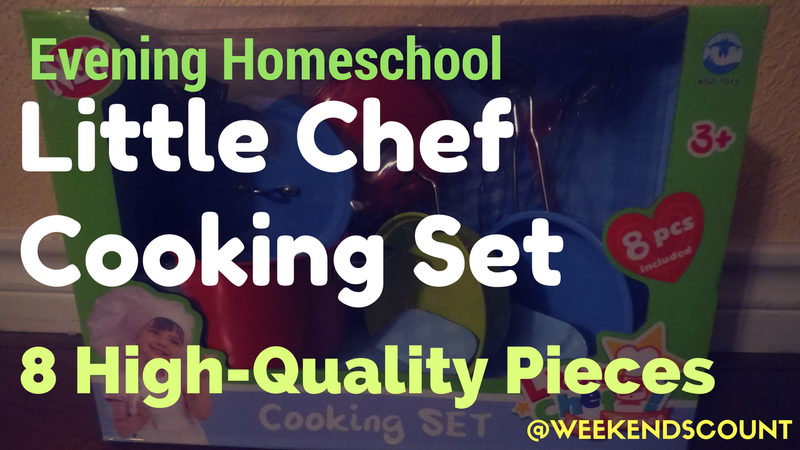 This colorful playlet includes two pots, one pan, two lids, a set of utensils, and an oven mitt! She has been in love with metal cooking sets since she discovered one in the childcare book fair last month. I promised her that we would find a great one or her and this one did not disappoint! 2 - Make Your Own Story! Description - Enabling your child to make a story with a two item from the eight piece set. 3 - Water Density for Preschoolers! Description - Science Project - Will it sink or will it float? 4 - Balancing Dried Beans! 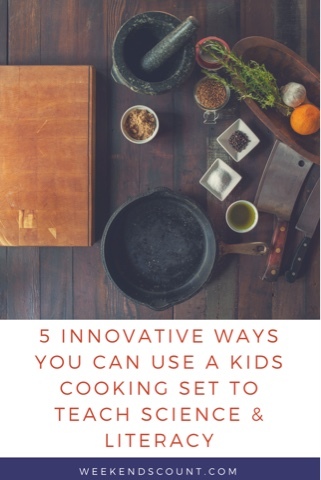 Description - Have your three/four year old draw around the pots, pans, and their lids to create shapes. *This is a great way for your child to refine their fine motor skills! Please let me know if you develop any new ideas!